On November 3rd, we had a “growth scan” of the baby. The results? Our baby’s head circumference is “average” (Kristin says “phew!”) and his estimated weight – 5.5 lbs – is in the 50th percentile for 33 weeks. The baby is properly positioned and sitting in ample amniotic fluid. 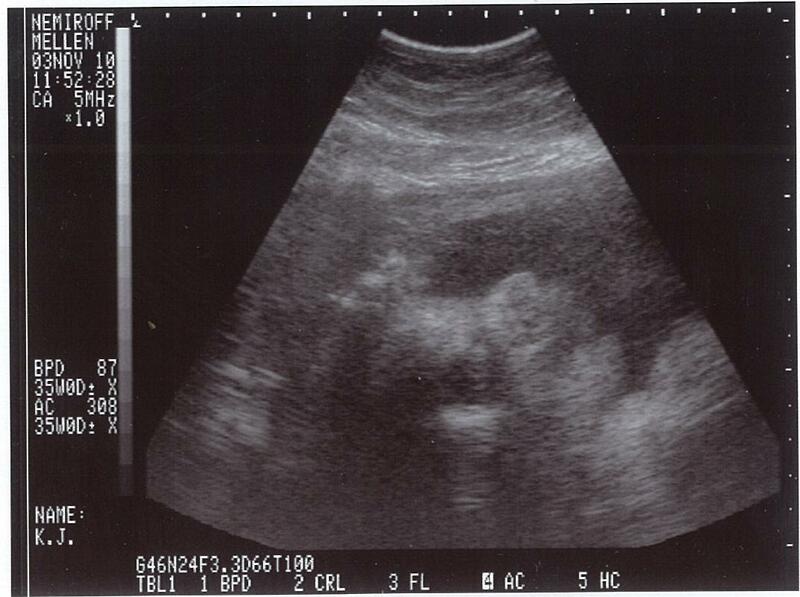 The next time you see our little one, he’ll be in color!